Numbers by Orla Kiely is a companion to her board book Colors and both are a wonderful introduction to the UK designer's bold and modern style. 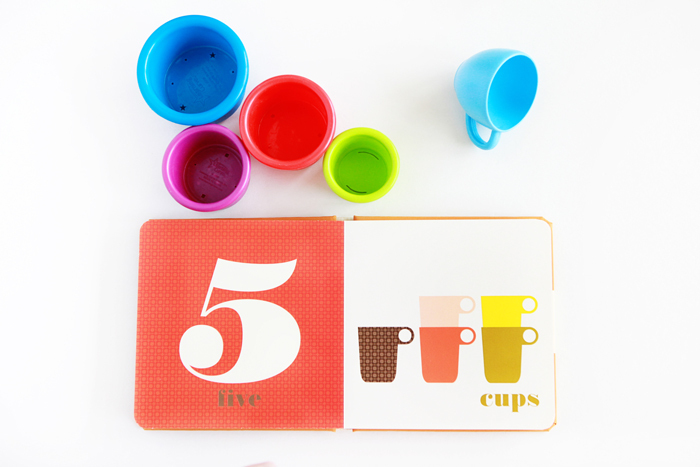 You can find items that match the pictures in the book to practice counting and one-to-one correspondence. An explanation of this important skill and other activities can be found on this website. Thanks to Land of Nod for sending us this lovely book!